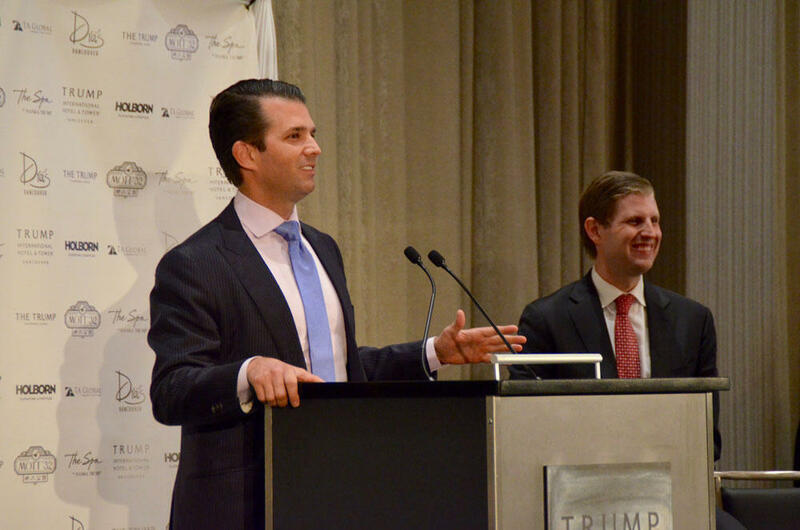 Donald Trump, Jr. speaks at the opening of the Trump International Hotel and Tower Vancouver Tuesday as his brother Eric Trump smiles at their audience. The Trump family's new hotel, Trump International Hotel and Tower Vancouver, has officially opened in British Columbia. Three of his children, along with other family members, attended the event, while a small number of protestors gathered outside. 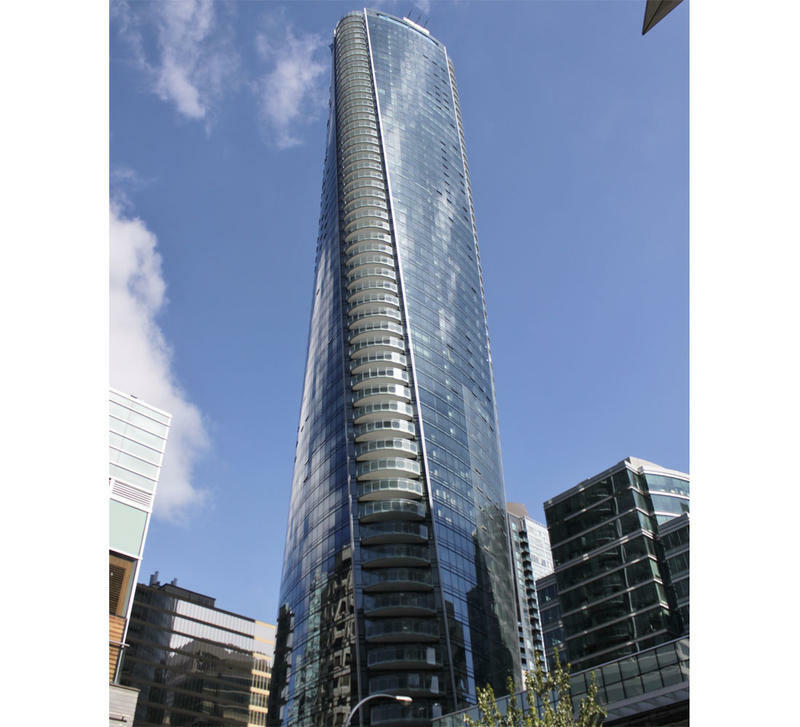 The 147-room hotel is Vancouver's second tallest building, topping out at 63 storeys. Most floors are individually owned condos. The Trump family does not own, but manages the property. The President's sons' Donald Jr. and Eric and daughter Tiffany attended the hotel's opening, along with other family and dignitaries. Donald Jr. said during the official opening ceremony that they enjoy changing the skylines of different cities. “To be able to do something special. To be able to change a skyline. To be able to take the level of service within a market to the next level. And that is what this whole building is about. What the whole journey was about,” he said. “Taking that to the next level and really bringing something to a market it hasn't seen before. Outside the hotel a small, but growing number of protestors gathered. The development has been the focus of numerous protests since Donald Trump announced his candidacy for president. While the opening was finishing inside, a few dozen demonstrators carried signs, wrote chalk inscriptions in the sidewalk, and made speeches. A pronounced police presence of Royal Canadian Mounted Police, Vancouver city police and hotel security surrounded the building and were very evident everywhere inside the property. The grand opening of the newest Trump International Hotel and Tower is set for Tuesday in Vancouver, British Columbia. President Donald Trump's eldest sons, Eric and Donald Jr., are the headliners for the official ribbon cutting and opening gala.